Our high-performance range of Epson scanners will allow you to enjoy high-resolution scanning, as well as a number of additional features that are perfectly equipped to meet all of your scanning requirements. 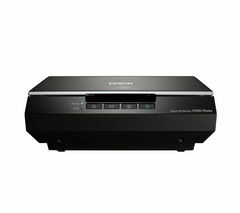 One of the most popular scanners available in this collection is the Epson V370 Perfection Flatbed Scanner. It features an optical resolution of 4800x9600 dpi, as well as a transparency unit to effectively scan slides. Ideal for scanning treasured traditional prints and photographs that you want to transfer into digital format, this model will allow you to achieve exceptional results, even when it comes to scanning bulky text books, 3D objects and enhancing dissertations. 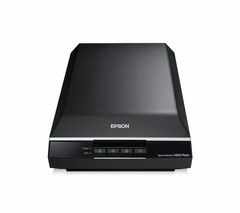 Many of the models available within our Epson scanner range also come with Epson Easy Photo Fix. This handy feature will allow you to breathe new life into traditional, tired looking prints by effectively restoring their colour and removing any dust or scratches caused by general wear and tear. Another attractive feature that many Epson scanners boast is Epson Document Capture, which has been designed to help you to directly scan to cloud storage services, so you can easily access scanned documents from your smartphone or tablet. We also offer a range of scanners ideal for home and small business use. Check out our range of Brother scanners and Canon scanners.